Our general dental service provides the day-to-day care that keeps teeth and gums in top condition – preventing problems happening and providing treatment if they do. We firmly believe in the motto, ‘prevention is better than cure’ and we are committed to providing our patients with excellent standards of preventative and general dental care. We advise all our patients to attend regular dental examinations so that we can identify and treat developing conditions early on and keep an eye on your general oral health. During routine check-ups we will conduct a thorough examination of your mouth and carry out oral cancer screening, as standard. We recognise that it is extremely important to detect conditions and administer treatment early and advise our patients to attend a routine check-up every 6 months. This enables us to catch conditions early and treat them before they get worse – this will save you suffering with tooth pain and discomfort and will also save you paying for complex treatment in the future. Our dentist will work with you to develop a customised plan that incorporates dental examination, tooth cleaning, possible tooth scaling, x-ray and use of other diagnostic equipment to prevent, uncover or treat problems as early as possible. Your dentist may incorporate a variety of restorative procedures in the development of a comprehensive treatment plan that will help prevent and treat decay or disease of the teeth, mouth, gums and tongue. And, as with all our other services, when it comes to routine check-ups, fillings, extractions, cleaning treatments and root canal treatment, our aim is to give you the highest levels of dental care. So, if you or a member of your family, young or old, is putting up with aches and twinges, or haven’t had a dental check up in a while, then why not make an appointment with us? 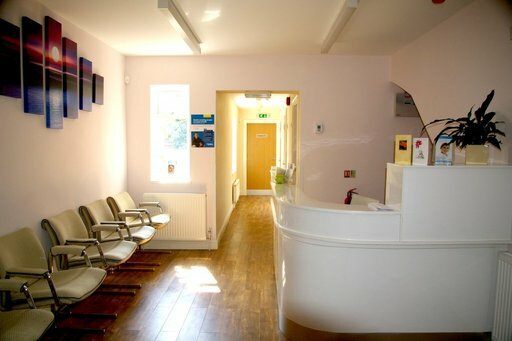 So, why not call Priory Dental Clinic on 01926 864015 right now, and book a time for your first visit?